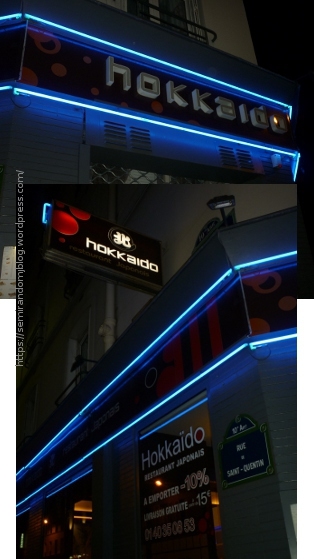 We tried this restaurant when I was over in Paris for Yoshiki Classical. It was a nice little place, the staff was friendly and the food was good. However, it is not the best part of town. 1 serving of salmon sushi (2 pieces): 4.20 €. To be honest, I don’t know if I would be able to return, or if I would ever step into the area again, but not because of the place, but because the general atmosphere around. This entry was posted in English, Food-Comida, France-Francia and tagged restaurant. Bookmark the permalink.